We had a rootin' tootin' good ol' fashioned Western birthday party. He inherited his Auntie's spring horse, which still has tremendous spring for being 40 years old. A little trick riding. Check out those brand spankin' new boots. 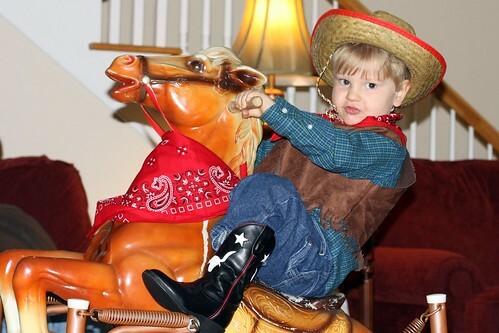 Gosh, he's one cute cowboy. 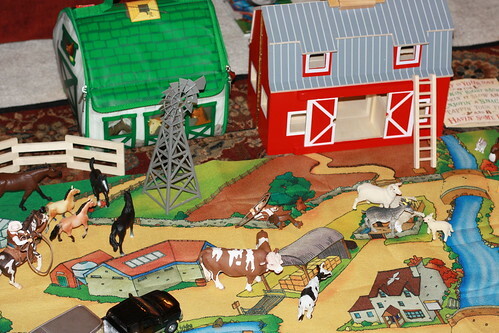 He received acres of horses and farm toys. Mommy Bear has had fun playing with them. Still, a little three year old 'tude rears it's head now and again. Wanna see the cake? It took me 3 days to make it, one day for each of his years. Wanna see more Weekly Winners? Visit the fabulous Lotus. Those are awesome! His personality really shines through. Happy Birthday Cowboy! 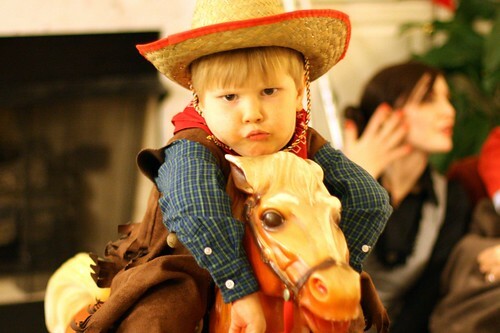 I love the pictures especially the attitude one he is one cute cowboy! Cake turned out awesome too! The 'tude picture is my favorite! I love pics like that, but hate the memories that go along with them. Every pic like that that I have taken, I recall why they were so grumpy and how frustrated I was with them when I look at them. 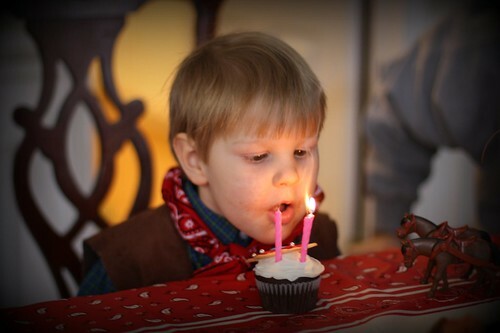 Happy Birthday to your little cowboy. Awesome smiles! Happy birthday, Cowboy! Those are some awesome memories captured there. Happy birthday little man! Fun shots! HE IS SO DANG CUTE, Amy! He is a priceless cowboy!!! 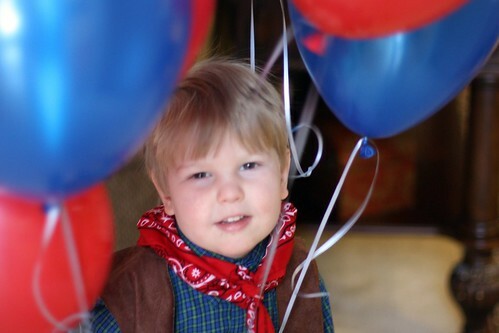 Happy birthday to your darling little cowboy. He is one cute little tyke. He looks like he has a personality that does not quit and a mind of his own! Yee Haw! 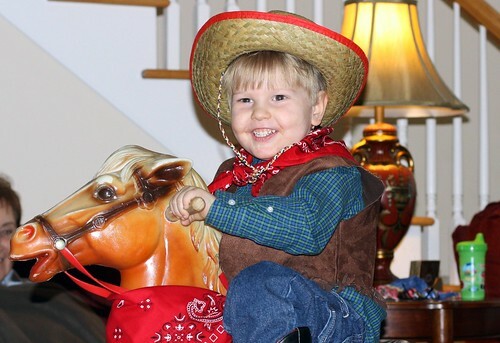 What a precious cowboy!! Happy Birthday to him! oh Happy Birthday cowboy! I LOVE the pics. Your camera rocks my socks. Who let him grow up so darn fast???? 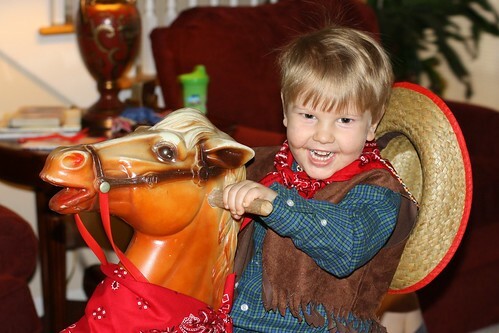 Looks like he had a marvelous time in his birthday riding that horse! Great photos - all a keeper! 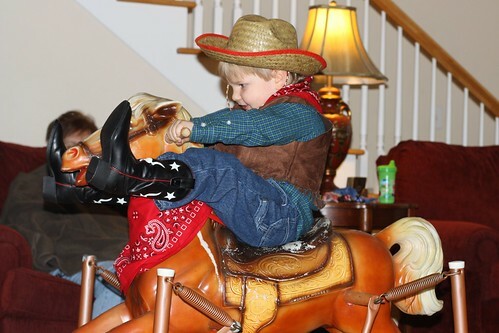 Beautiful boy, great cowboy attire ... yes, these are winners! Happy birthday little guy. He is adorable. So cute! Happy 3rd Birthday to your little guy!